- Gracie's Litters / Gracie's Southern Charms — Comments Off on Sadie-Joy takes the work of being a loving companion seriously! Sadie-Joy takes the work of being a loving companion seriously! I just learned that one of our ‘Hush Harbor” Families” has had some bad news. You may remember her as “Joy” born in Gracie & Poppie’s 2013 litter called “Gracie’s Southern Charms”. When I try to explain about what makes a Havanese so different, to define their character, I try to explain that they approach life as a “working class” dog. Their work is to be a loving companion, whatever the circumstances. They take this work VERY seriously! We don’t send them to school to learn this . Like Sadie, it’s not how they act, it’s WHAT THEY LIVE FOR!! We are so glad that “Sadie-Joy” takes her “job” so seriously!! Gracie's Southern Charms — Comments Off on All of Gracie’s Southern Charms have gone HOME!! All of Gracie’s Southern Charms have gone HOME!! Deacon flew home to Philadelphia on Friday May 24, 2013. He enjoyed a three day weekend with his new family getting adjusted and learning all about them. He now has his very own little boy and a whole family! Joy flew home to Bakersfield, CA on Wednesday May 29, 2013. There was quite a delay in her connecting flight, but she made it safe and sound. She is resting with her loving new family today. She will also have a whole family to love. Barclay’s flight took off the morning of May 30, 2013. 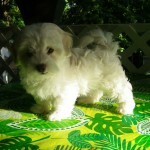 He will be at home with his new Mommy Person in Cocoa Beach, FL. They will spend the summer getting acquainted and situated. The two of them are sure to be lifelong BEST friends!! 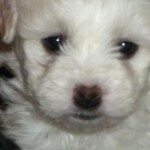 And so, once again, Gracie and Poppie have provided us with BEAUTIFUL Havanese pups that bring smiles to all of our faces. 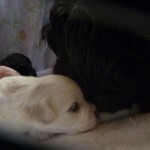 Both Gracie and Poppie have spent the past few weeks interacting, teaching, loving and playing with their litter. Well done GRACIE & POPPIE!!!! Gracie's Southern Charms — Comments Off on Barkley is SOLD!! 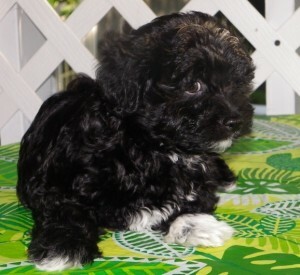 Barkley is the classic Havanese. 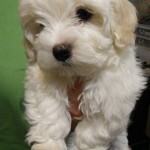 He has beautiful silky hair, a teddy bear face, a loving and playful disposition and is ready to travel to his new home. 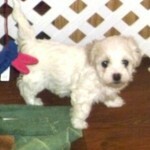 He is staying on the small side of the standard and will most likely mature to be about 11 pounds. He turned 9 weeks old on May 21st. He has had his first two puppy shots in his series, had his dew claws removed and been seen by our vet for three well baby visits. He is enjoying learning to play with the adults of our pack and gets lots of time with his people. 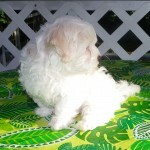 He is ready to learn how to be a personal companion or part of a family. I’d be happy to tell you all about him. Give me a call t 314-772-4874. Gracie’s Southern Charms turned 9 weeks on May 21st. That means that they are ready to travel to their new homes. Deacon is the first to leave us. Today he is on his way to Philadelphia where his own little boys awaits him. They will spend the entire three day weekend getting to know each other and learning how to be a family. While we will miss Deacon, it’s hard to be anything but excited for him and his new family! 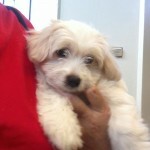 Gracie's Southern Charms — Comments Off on Beautiful and affectionate BARKLEY is still available. Beautiful and affectionate BARKLEY is still available. 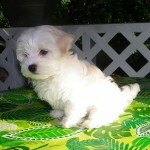 Only one pup left: BARKLEY! 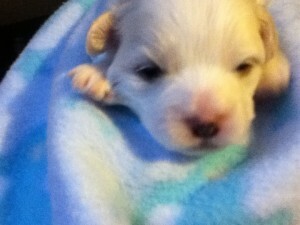 He will be ready to leave for his new family the last week of May. Gracie's Southern Charms — Comments Off on Joy will soon be a California girl!! Joy will soon be a California girl!! 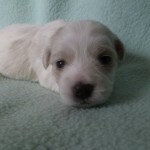 Joy will be joining her forever family on May 29th. Meanwhile she is growing up every day in precious “puppy ways”. She continues to use her potty pad, she loves to wrestle with her brothers, she now drinks out of a bowl AND her water bottle and she munches dry puppy food. She still likes to nurse but Momma Gracie is slowing that down and using it as a calming affect to settle the pupsp down for long naps. Joy is getting held every morning, during the day and in the evening and she loves to nibble on my ear. She is precious! Gracie's Southern Charms — Comments Off on Deacon has his ticket and is waiting to go HOME to Philadelphia! Deacon has his ticket and is waiting to go HOME to Philadelphia! Deacon is 6 weeks old now. 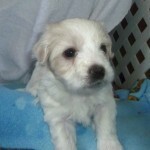 He has had his first round of puppy shots, is beginning to enjoy hard puppy food and is in the process of being weaned. He still sleeps often and plays hard when he is awake. He uses his potty pad “most” of the time. He has discovered his crate. It remains open inside the puppy palace and he can come and go from it as he pleases. 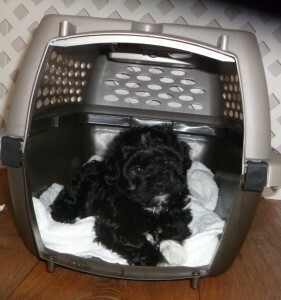 This is the very crate in which he will fly to his new family in Philadelphia on May 24th. Between now and then, Gracie will continue to teach the puppies how to bahave. She will monitor their play and continue to see to it that they are kept clean. Deacon is no longer and infant but a full fledged toddler!! Gracie's Southern Charms — Comments Off on BARKLEY is available! Call today to reserve him. 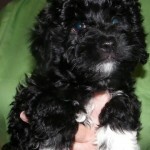 BARKLEY is available! Call today to reserve him. BARKLEY has had an exciting week. He is enjoying playing with new toys, running and playing tag with his sister and brother, learning to drink from his water bottle, and eating soft puppy food. Perhaps the most exciting thing is that he is using his potty pad almost every time he needs to potty. That keeps me busy changing the linen several times a day. Unfortunately all of the puppies seem to have no problem wrestling or just taking a break on that same potty pad. Puppies! 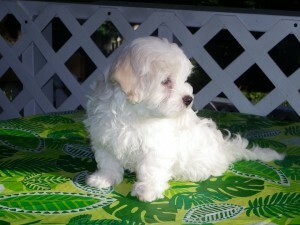 He is cutting teeth and getting a beautiful Havanese coat. 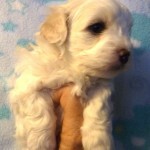 His coloring is holding true and will be a very elegant little guy- the classic Havanese! Gracie's Southern Charms — Comments Off on Gracie’s Southern Charms have had an exciting 5th week!! Gracie’s Southern Charms have had an exciting 5th week!! They are teething so they chew on bedding, the water bottle and each other. 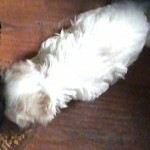 They are eating puppy food softened but no more mush. They give new meaning to the term “play” and just add real joy to life!! Gracie's Southern Charms — Comments Off on BARKLEY IS STILL AVAILABLE- He is 5 weeks old now and moved, with the rest of his litter, into their Puppy Palace! 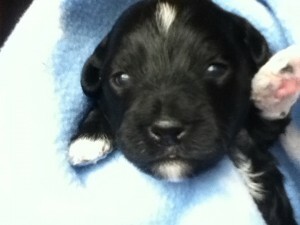 BARKLEY IS STILL AVAILABLE- He is 5 weeks old now and moved, with the rest of his litter, into their Puppy Palace! 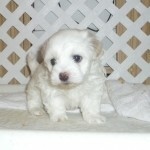 This Beautiful little male is white with beautiful champagne highlights on his face and ears. Call today to reserve him with a deposit that will be applied toward his final price. 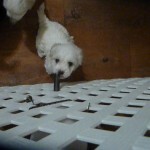 Gracie’s Southern Charms have moved from their small blue play pen in our living room to their new “Puppy Palace”. They are in our family room, right next to my desk and near the kitchen. Here they have a new drinking bottle, a potty pad, an open crate to run in and out of, a dragon fly mobile, puppy mush and their Momma’s nursing stool which she uses to get in and out of their pen freely. 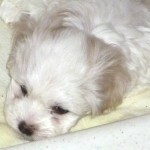 Barkley is learning wonderful new things and enjoying room to romp and play with his brother and sister. 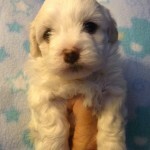 Gracie's Southern Charms — Comments Off on Call today to reserve Barkley! 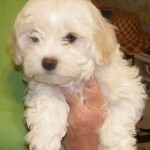 Call today to reserve Barkley! 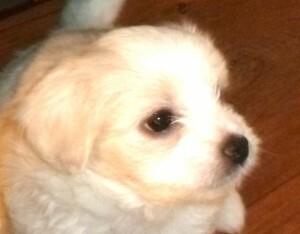 Barkley is the last pup available from Gracie’s Southern Charms. 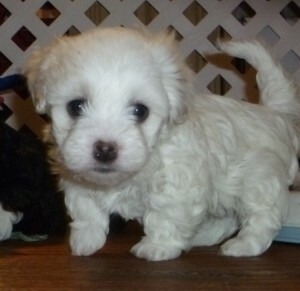 Barkley is 4 weeks old and weighs 31 ounces . 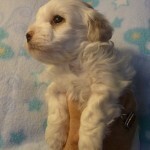 His beautiful Havanese silky fur is coming in and the champagne highlights on his ears and eyes are elegant. He has a very classic look about him. He is learning to play and romp with his sister and brother and his little baby bark makes me smile. He reminds us of Bud from Gracie’s Bouquet, Fiji and Boo from Gracie’s Gig , Nicholas from Gracie’s Joy and Bonnie from Gracie’s Trio. 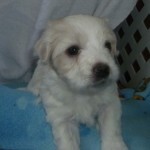 Check out those pups from past litters to get and idea of how Barkley will look as he grows up. Beautiful!! Gracie's Southern Charms — Comments Off on Joy is reserved. 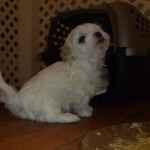 As of this morning baby girl Joy is reserved. She will be going to California to be a special friend to a wonderful family. She, like Deacon, will have her very own three little girls and little boy to grow up with! Meanwhile, Gracie will continue to love and teach Joy how to be a good little girl and we will enjoy watchig her grow until she is 9 weeks old and ready to go “home”! Gracie's Southern Charms — Comments Off on Deacon is reserved. 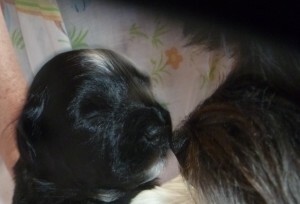 Meanwhile, he will continue to be loved and cared for by his Momma Gracie & us. He will have a lot to learn in the next 6 weeks. Gracie's Southern Charms — Comments Off on Two weeks old and all eyes are open!! 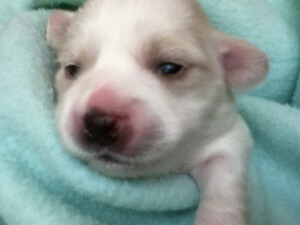 Two weeks old and all eyes are open!! Barkley, male, weighs 19.5 ounces.